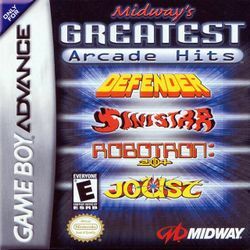 For the Nintendo 64 and Dreamcast compilation, see Midway's Greatest Arcade Hits Volume 1. The games have been slightly adapted for the Game Boy Advance's screen resolution but are otherwise faithful to the arcade originals. This page was last edited on 12 August 2008, at 04:58.